There are a number of festivals that take place each year in The Gambia and most of these are based around annual Islamic festivals. Yet there are also a number of local and traditional religious festivals that are worth observing if you can. Whilst some of the Muslim festivals, such as Ramadan, can be ascetic affairs (except for Koriteh which takes place as Ramadan draws to a close and is a festival of great celebration!) the local festivals such as naming ceremonies and weddings are a riot of colour, dancing and music. So keep your ears open and if you can get along to see one of these they are well worth a visit. Ramadan is the ninth month of the Islamic Lunar calendar. It begins with the sighting of the new moon after which, from the breaking of dawn to the setting of the sun, all physically mature and healthy Muslims are obliged to abstain from all food, drink, gum chewing and any kind of tobacco use. The usual practise is to have a pre-fast meal (Suro) before dawn and a post-fast meal (Iftar) after sunset. However, that is merely the physical component of the fast; Ramadan is a time for spiritual reflection, prayer, doing good deeds and spending time with family and friends. The fasting is a way of experiencing hunger and developing sympathy for the less fortunate, and learning to thank and appreciate all of God's bounties. Koriteh is a public holiday and marks the end of Ramadan. Muslims all over the world start their day with morning prayers after which they come together with family and friends to enjoy the feast and celebrations. 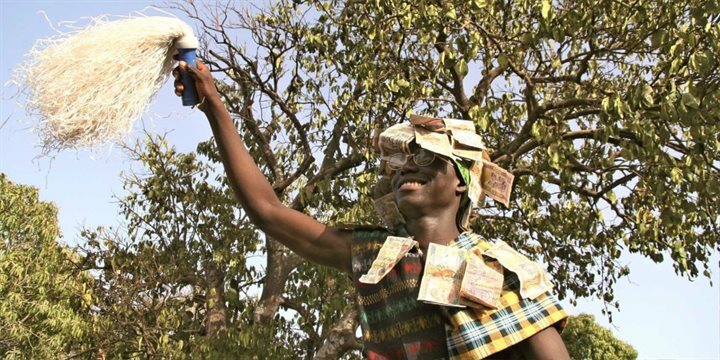 Tobaski is the Wolof word for sacrifice and it is a national holiday that takes place 2 months and 10 days after the end of Ramadan to commemorate the story of Abraham. According to the Qur'an, Allah asked Abraham to sacrifice his only son and although Abraham was deeply troubled by Allah's request, he agreed as a sign of his obedience. Just before Abraham began the sacrifice, Allah told him to offer a sheep instead. Every family sacrifices a sheep on Tobaski morning and the rest of the day is spent feasting, giving presents and in prayer. This normally takes place one week after the child is born. The elders of the village gather together in the morning and name the baby whilst slaying either a chicken, goat, sheep or cow depending on the wealth of the family. Then all the villagers friends and family are invited to join the celebration which lasts throughout the day and into the night. There are displays of dancing and singing and collections for the new baby continue throughout the event - so we recommend that if ever invited you take along plenty of small notes - D5's and D10's! Read all about Kathryn Burrington's visit to the Jola festival on The Gambia Blog. Music is omnipresent in The Gambia; it forms part of the texture of everyday life and you’ll hear it wherever you go – be it pop music belting out of cars, bars and clubs, warm reggae in the tourist taxis, the low-level throb of the ubiquitous troupes of drummers, the dexterous harp-like shimmer of the kora, or the calmer sophistication of the blues and jazz musicians that this part of the world seems to produce at will. It is part of the entertainment every night in most of the hotels in one form or another, and on many of the excursions also. Rest assured musical memories will be a large part of what you take away from your time in The Gambia. 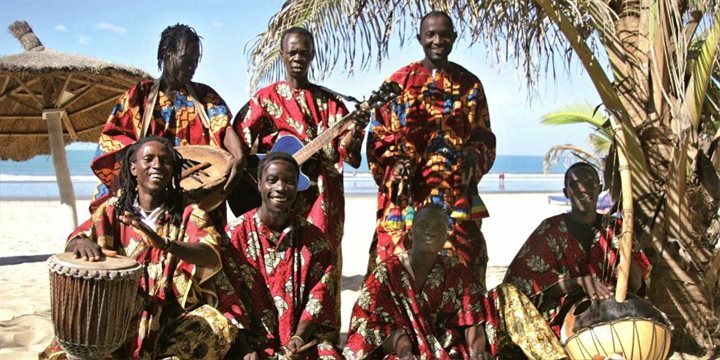 Discover more about Gambian Music in our Gambia blog. Whilst it may not be immediately apparent in the resort areas, Gambian societal structures are still very complex and involve intricate stratified layers with the nobility at the top and the descendants of slaves at the bottom; and whereas traditionally music-making is open to anyone with a voice and an instrument in the West, in the Gambia it falls to a select strata of society: the Griots (the word has a confused etymology but a general translation might be bard or praise singer). The role the griots fill is a vital one to the community as they are at once repositories of cultural and historical knowledge, genealogists, and frequent social commentators; and they are called upon to remember ancient songs and narratives and even invent songs around recent social events. In The Gambia the griots you come across will probably play the kora, a 21-string instrument made of a rosewood neck and a gourd covered with cowhide that falls somewhere between a lute and a harp. It’s an unwieldy looking instrument and is very difficult to play. So the Kora players you see nonchalantly picking their way through labyrinthine string patterns are not just incredibly skilled musicians but spiritual people with a detailed internal databank of cultural history that can be called upon at a moment's notice. Melody and song structure are such a large part of western music systems that it can come as a bit of shock to first hear the polyrhythmic clatter of the West African drum troupes. The music tends to be made up of a series of complex interlocking rhythmic patterns and polyphonic (many-voiced) melodies (not to mention numerous high-pitched whistles and whoops), and the trick is to focus on one section and it then becomes possible to unpack the intricate web of sounds and hear how each piece fits into the larger whole - and if you watch the dancers that tend to accompany these troupes that is exactly what they are doing. Suddenly what can sound arrhythmic and repetitious suddenly becomes a fascinatingly elaborate coming together of various strands of story and narrative. It can be dazzling, hypnotic; not to mention maddeningly involving – it’s a music you listen to and feel with your entire body.